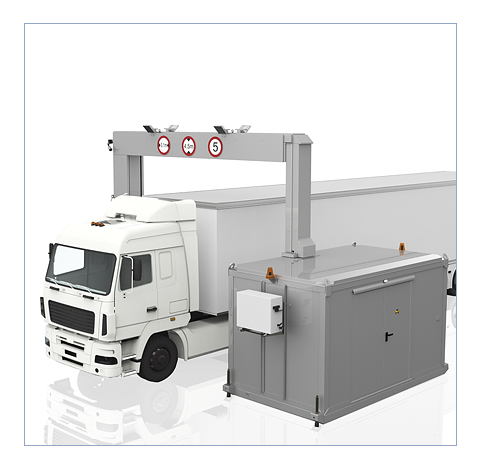 The BV 160180 X-ray inspection system was designed for visual inspection of medium palletized cargo (up to 3000 kg) and the detection of threats and forbidden items. This system complies with the demand of customs facilities, warehouses, transportation operations, carriers, parcel services and airports. 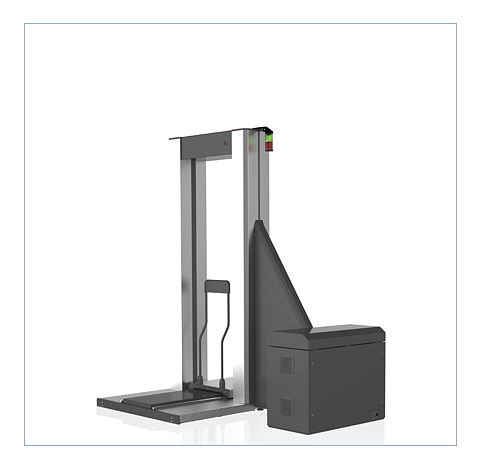 This X-ray screening system is the best security solution for inspection of small and mid-size cargo transported on standard lower deck pallets. 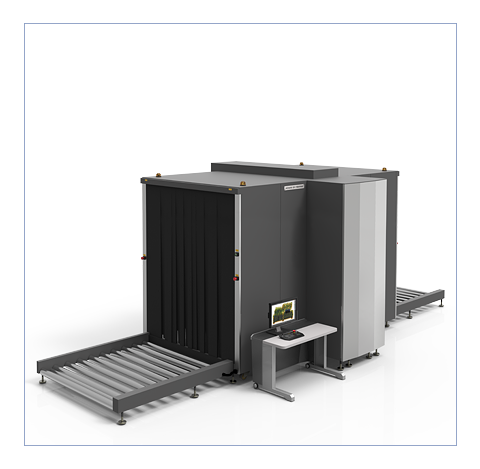 The low conveyor of the x-ray machine makes easier to load and unload cargo and goods. 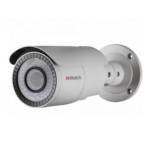 Due to the system’s small footprint, it can be easily integrated into existing security infrastructure. 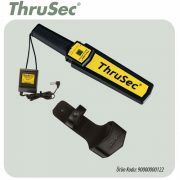 The function of automatic highlight of suspicious objects helps the operators identify threats and avoid the necessity of hand inspection. Automatic color coding of materials with different atomic numbers facilitates substantially the process of image analysis and the detection of potential threats: narcotics, arms and weapons, explosives and smuggled goods. BV 160165 allows identification of weapons, explosives (including plastic explosives), drugs, primers and dangerous objects, which are safety hazard by identification of substances with effective atomic number. 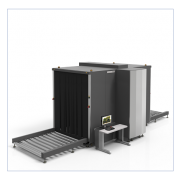 Dual energy imaging of the system with automatic color coding of materials having different atomic numbers helps screening specialits to easily identify dangerous objects inside any parcel. Oversize dimension of the tunnel BV 160180 tunnel makes it possible to scan air transport containers and palletized cargo. 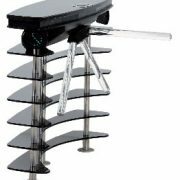 Increased load capacity Chain-driven robust rollers provide fabulous capacity of the conveyor which is 3000 kg of spreaded load. Automatic identification of suspicious objects (drugs, explosives) and highlighting of optically dense objects Algorithms used in software enable automatic highlighting of such objects as weapons, explosives, narcotics, as well as opaque areas, where dangerous object may be concealed.These functions improve operating efficiency. Multilanguage interface Including English, German, Russian, Italian, French, Spanish, Portuguese, Polish, Arabic, Chinese and any other language on request. User friendly interface The set of self-intuitive tools and settings make it possible for the operator to master the system control quickly and easily making thus his/her daily work more comfortable. Real-time self-diagnostics State of all important assemblies and components is controlled in the on-line mode allowing the system to be kept operational and the operator to be informed about any changes in good time. Availability 7 and 3 colors imaging Operator is free to choose whether to use 3 colours imaging (organics/inorganics/metals), which is familiar by experience, or 7 colours imaging, which is more detailed one and which enables material discrimination on effective atomic number more precisely. New colours help the operator to stay attentive and his/her perception to remain not “overloaded” when working during a long period of time. This improves the performance quality of the operator and a through-flow rate of inspection points. 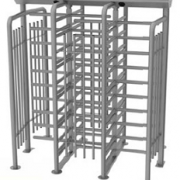 The design of the system provides radiation leakage attenuation limited to 1,0 µSv/hr (0,1 mR/hr) or lower at any accessible point at the distance of 0,1 m [ 3.9″ ] from the external surface of the system. The dose rate intensity at the workstations of the personnel does not exceed 1,0 µSv/hr. Maximum inspected item radiation dose during a single scan is 0,16 µSv, and is safe for the films with sensitivity up to ISO 1600 (33DIN).